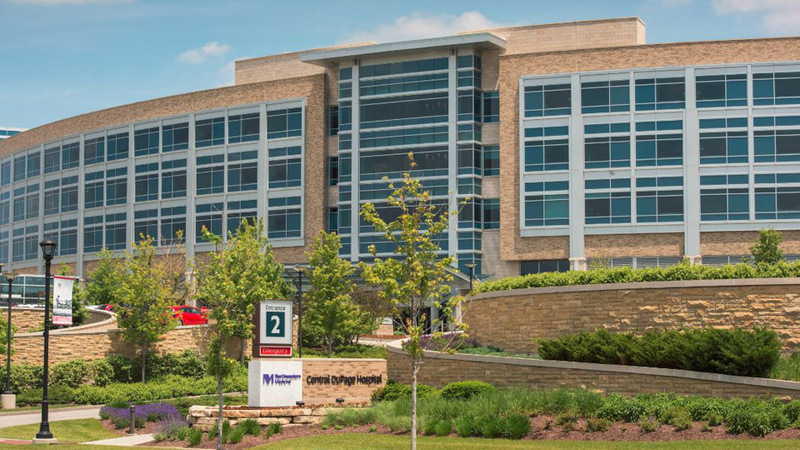 In response to the growing need for a full-service pre-liver transplant evaluation clinic in the west suburbs, we are pleased to offer the Northwestern Medicine Liver Transplant Care in Winfield, Illinois. Our focus on community outreach benefits patients and their physicians by providing many of the pre-liver transplant services closer to home. Our goal in offering such convenience is that it will lead to an excellent patient experience and a successful liver transplant. General parking is available 24 hours a day, seven days a week and is patrolled by security staff. Complimentary valet parking is available for patients and visitors near the Outpatient Services Entrance in Parking Lots 1 and 2. The outreach clinic in Winfield is located in the Outpatient Services building on the campus of Northwestern Medicine Central DuPage Hospital, near the intersection of Winfield and High Lake Road. Download our Services and Amenities Map. Complex liver disease patients: Patients requiring a consultation or second opinion have the convenient option of being evaluated at a clinic closer to home. Potential liver transplant candidates: Initial visit to determine the likelihood of being a transplant candidate can be done at the clinic. If patients are identified as candidates, they will require evaluation by the liver transplant team at Northwestern Memorial Hospital before being listed for a liver transplant.